Zero Compromise on Material and Finish. In house design and execution team. A lifetime of after sales support. 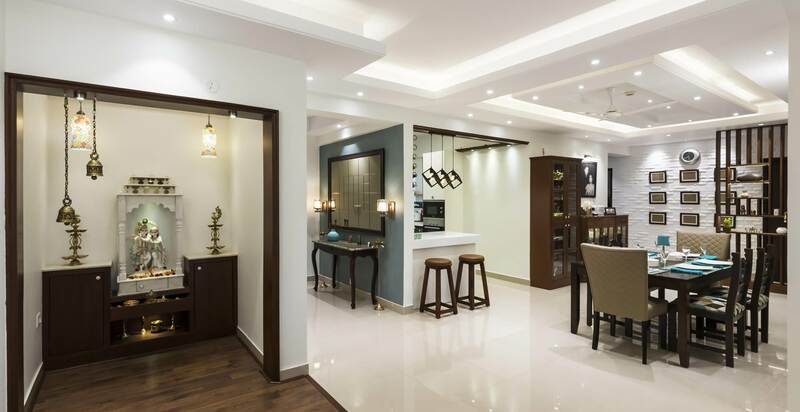 The Studio by Nandita Manwani today ranks among the Best Interior Designers in Bangalore. Founded by Nandita Manwani in the year 2010, the firm specializes in creating designs and spaces that are global in quality but matched to the unique Indian needs and taste. 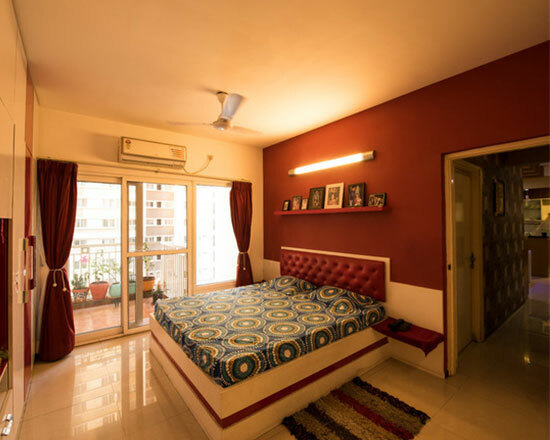 The Studio's designs are contemporary, straight line & uncluttered, concentrated not just on the presentation and looks but also on liveability and lifestyle of the residing family. 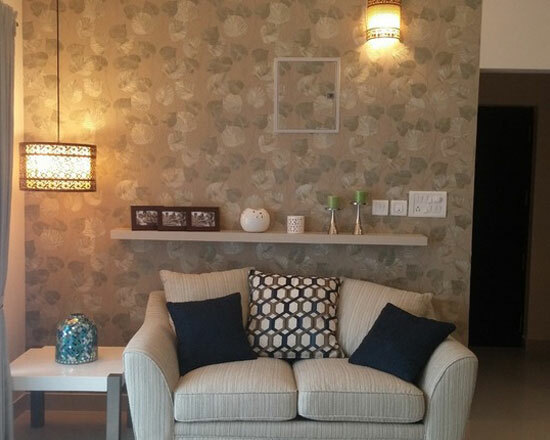 Nandita Manwani is among the most trusted and famous Interior Designers in Bangalore She is the author of the most read blog on home interiors in the country (www.homedesignbangalore.com) and over the last 9 years her blog has touched over one and a half million home makers during their own home making journey. Nandita is a regular guest columnist with Deccan Herald & her work has featured across various national and international print & digital media. She was recently ranked among the top women interior designers in Bangalore and as one of the top upcoming interior designers in India. Her work has won the Best of Houzz acclaim for the last 2 years in a row and she is recognized as amongst the top Residential Interior Designers in Bangalore to follow by the magazine. Over the last decade helping people realize their dream called home has been her passion, much more than just a profession. We are so happy after the completion of the work. all the things were taken care by Ms. Nandita and her team without me and my wife even visiting. Everything went very smooth. I found her very professional and thorough with her designing. She incorporated most visible things with vivid colours and the most invisible things with the maximum utility. After 5+ years the home still looks good, and all the fittings, cupboards and drawers are still working as new. There are very few of my friends who are ready to believe that my interior is 5 years old. The quality of material used is real value for money. We have seen many interior designers for our New Home but not convinced with any of them . Then we met Nandita and got impressed seeing one of her completed project. 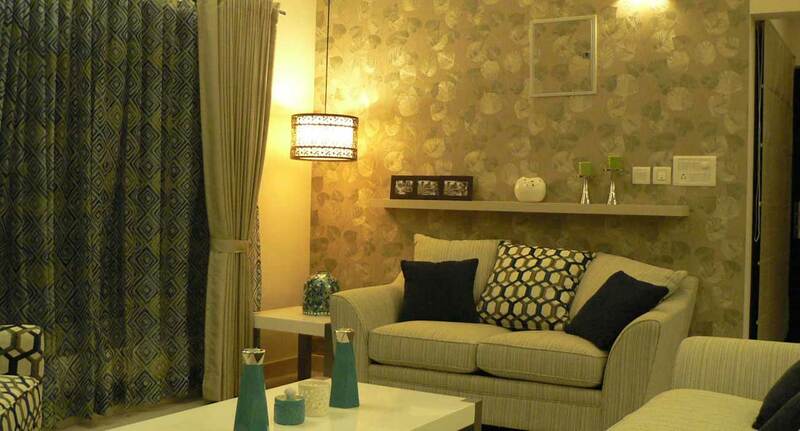 She did the complete interior solution for our Apartment which was awesome considering our requirements and lifestyle. If anyone looking for Quality and Classic interiors then she is the right person to be contacted, Classic and Elegance are the words to describe her work. She is a pro in detailing the sequence of work that needs to be carried,She also considers functionality, durability and safety aspects in her designs and suggestions. 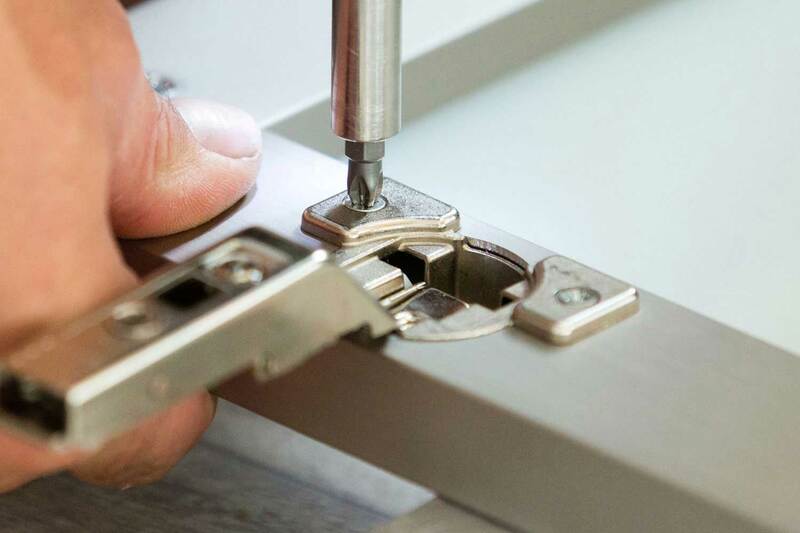 For us it was like giving the interior work to our trusted friend which will never go wrong. Ours was a complete renovation project including the flooring, false roofing, lighting and furnishings. Nandita handled all our queries very patiently and suggested ideas that matched our requirements. She has a gift with interior design and added really chic aspects to our project, making the design unique and special to us. She worked on our house as if it was her own, her attention to detail was impressive. The project was handed over on time as was promised and the compliments that we got for our house were mind blowing. Our home is stunning and our heartfelt thanks to Nandita Manwani and her team. I discovered Nandita through her blog , and from the onset she was professional on all regards. She designs according to our usage like whether non veg or veg and how much frying we do and what type of vessels we have and Her design made our kitchen quite spacious. She provided invaluable guidance in regard to colour scheme and the final outcome has been producing nothing but compliments.She has impeccable taste, an excellent eye for color, and very creative ideas to make it outstanding. Her site supervisor and carpenter also put in lots of hard-work . I will definitely recommend her to all my friends . 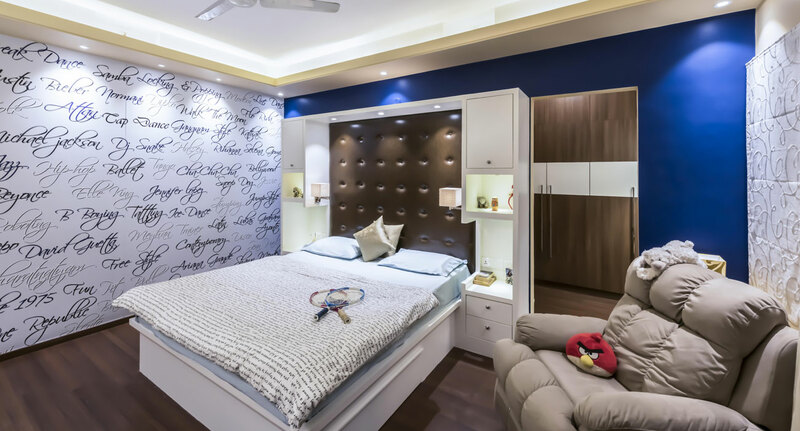 Nandita Manwani is rated one of the best interior designers in bangalore and ’The Studio’ is widely accepted as the best interior design studios in bangalore. 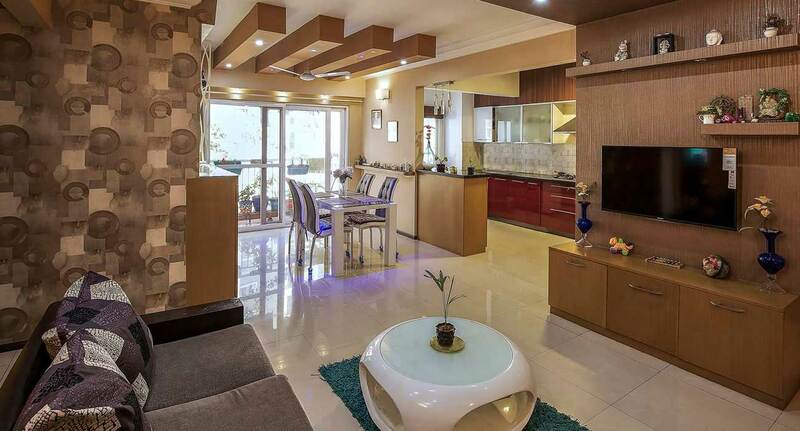 We are specialized in Turnkey Home Interiors, Customized Modular Kitchens, and Designer Sliding Wardrobes. 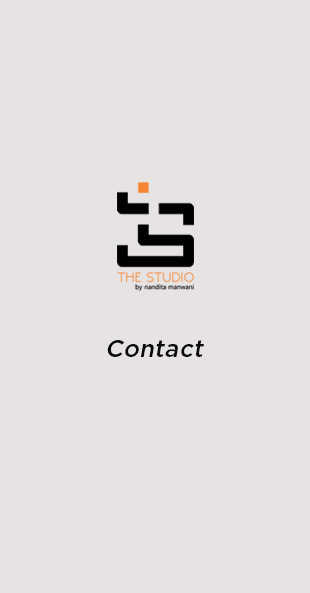 The Studio brings together the best Indian craftsmen and the best components and material from India & across the world to create interior designs and homes that are global in quality but matched to the unique Indian needs and taste. Our turnkey interior design services includes conceptualisation & design, procurement of materials required, on-site execution of the designs. We are the most trusted apartments interior designers in bangalore. 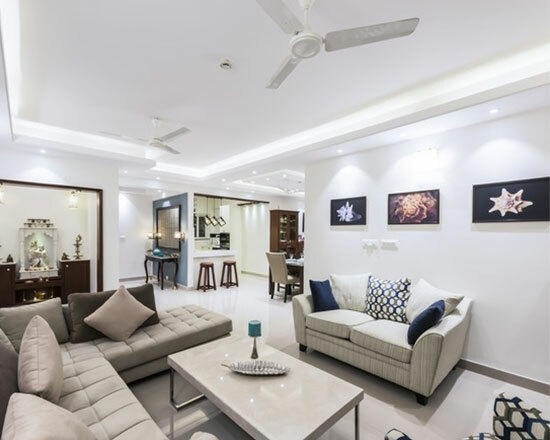 Our team of exceptionally skilled residential interior designers in Bangalore are experts in designing the best interiors for villas and apartments. We, at The Studio, blend imported and local components to provide you a top notch interior solution. We are the most sought after interior designers in JP Nagar. Most customers often equate interior design to good looking furniture & carpentry. 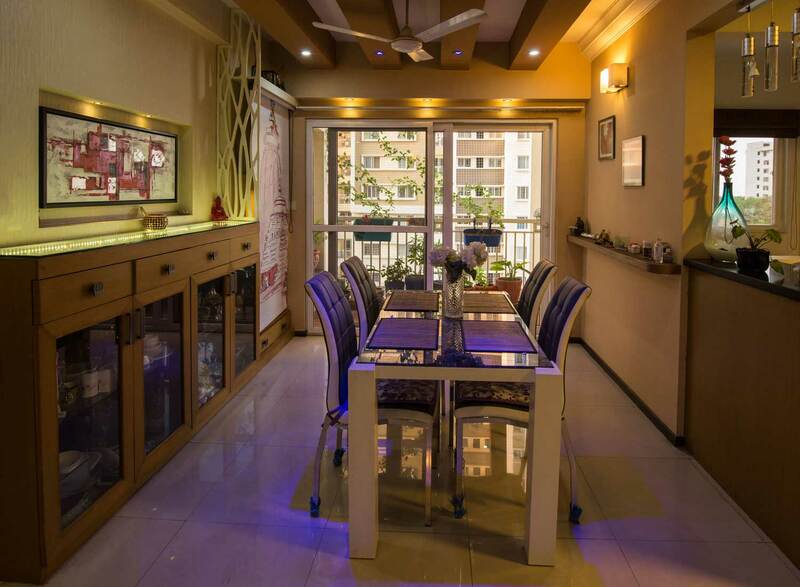 In reality good home design incorporates 5 elements, namely - Furniture, Furnishing, Lighting, Painting and Décor. A good home interior designer helps weave these 5 elements around the life and lifestyle of the owning family - things such as hobbies, presence of elderly at home, grocery buying schedules, guest movement etc. to create tailor made, cozy and warm living spaces for the family. Hence when working with a designer one should expect more than just good carpentry and looks. That said, customers just expecting carpentry or looking for someone to execute pre-determined designs should avoid hiring a designer as the lack of creativity may lead to detachment of the designer resulting in poor quality work. What homework should you do before contacting us? In the first discussion it is important you communicate a clear budget you have planned for the interiors as that helps driving a focused discussion on the options and next steps. It is also important to tell us your lifestyle, tastes & hobbies, this is critical input that will help us tailor-make the home around your needs. Lastly it is important to inform us your own visualisation and theme of the home, such as Whites - (Contemporary/ Straight Line Theme), Browns (Victorian/ Classic Theme), Grey (Zen Theme), Blue (Aqua Theme), etc. You can also collect images and clippings that appeal to you just to help the us determine your taste. For a new house in Bangalore the budget can range from 10 to 30 percent of the price of the apartment or villa depending upon the scope. Please get in touch to understand more about this. 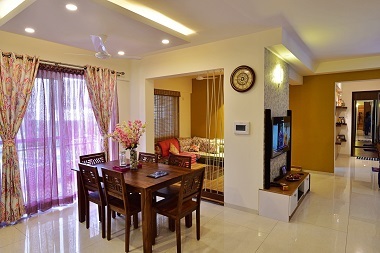 As a trusted home interior designer in bangalore we are very transparent about pricing. Will I be making the purchases or do you make the purchase? As a part of our turnkey interior design services we make all the purchases, track the orders, inspect all the materials, execute the designs and do the installation/ onsite work. This process ensures quality & transparency and makes us responsible end to end from the quality of materials to the final output. Your home is our creation and being one of the best interior designers in Bangalore we take full responsibility for our work.